Get ready to WOW in this amazing jumpsuit. 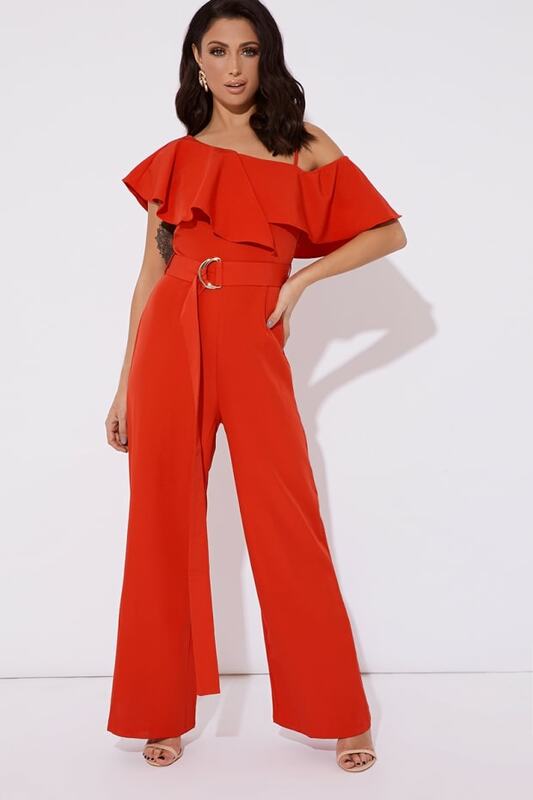 Featuring an asymmetric shoulder, D ring belt and frill, this lush red jumpsuit will have you party ready in an instant! Go for strappy heels and jewellery to earn serious style points!